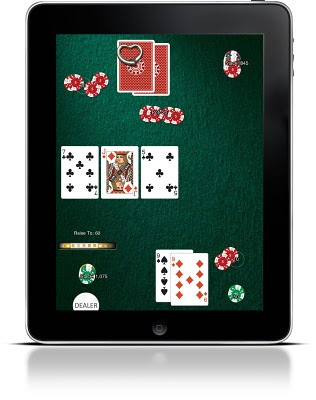 It's still preliminary, but the iPad version of Heads Up: Hold'em is coming along nicely! One irony is that I haven't actually played it yet (Mike has) because I'm waiting for the 3G iPad. I'll probably go play the game on Mike's iPad in a day or two when a few more changes have gone in. Bluetooth games will be compatible with the iPhone version. PSS: Camera for iPad has been getting lots of press and is one of the top iPad photography apps. It lets you use an iPhone as a wireless camera for an iPad (or iPod touch).